This monting plate allows you to mount a radiator of the airplex modularity system into a PC case. To do so, a fitting hole has to be cut into the case, preferrably into the top cover. 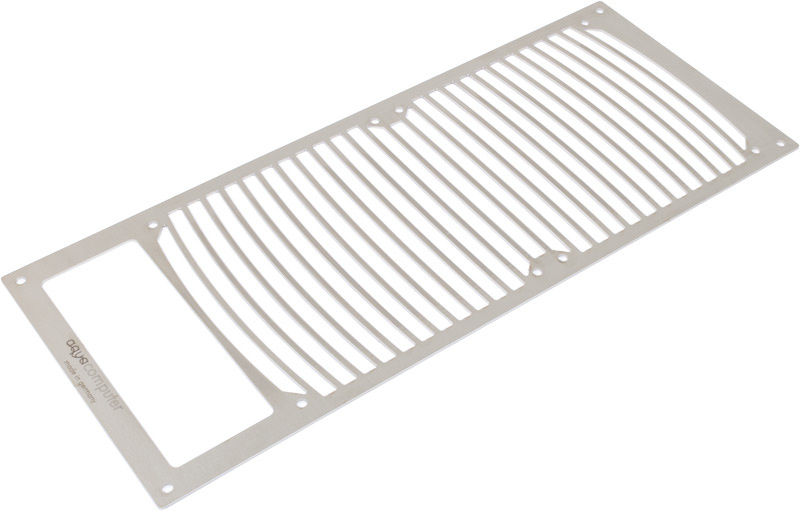 The mounting plate itself will then cover the edges and the radiator can be mounted underneath the cover using 140 mm fans. A cut-out allows you to easily access the reservoir if used with radiators equipped with a pump module. This product was added to our catalogue on Thursday, 20. October 2011.